What is an SSL certificate and why do you need it in 2019? An SSL certificate or a secure sockets layer is an essential part of ensuring your website is secure for your customers and their data. Using an SSL certificate can guarantee that any sensitive data that is shared on your servers and your customers or visitor’s browser is 100% safe and secure. Not only is it extremely important to have an SSL certificate to protect your customer and their data but it also gives your online business some credibility and provides visitors with reassurance your webpages can be trusted and in return having this type of integrity can help improve conversions and sales. A boost in rankings on Google. Compatible on all major browsers. Secure site seal to add to your webpages. 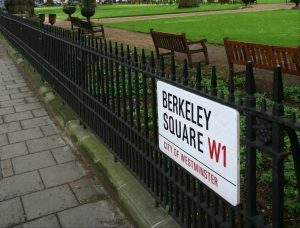 Warranties from £78,000 to £386,000. Google are actively highlighting websites that are unprotected! Do let yours be one of them! Why do you need an SSL certificate on your website? Our SSL certificates have 256-bit encryption that ensures your customers sensitive data like usernames, passwords and payment information is protected and secure at all times. The SSL padlock icon and green address bar is now becoming widely familiar to shoppers and web users, with these in place you are showing your site is safe to use. You are now guaranteed a ranking boost from search engines and especially Google if you have a secure HTTPs web address. This shows you are a trusted website. Google’s web browser Chrome is now highlighting websites as unprotected that do not have an SSL certificate installed which can make your business website look untrustworthy. Our prices and the different certificates we have available. We have four different types of certificates we can add to your website, take a look through each package and choose the one that would benefit your online business the most, or if you are unsure contact one of our SSL experts who will be able to advise you on the best one to purchase. This is suitable for small start up business using one domain. It offers protection for 1 domain plus advanced business validation. This protects 1 domain plus unlimited subdomains and also include advanced business and domain validation. If you have purchased a certificate online through another company and would like to have it installed on your current website, then we can install this for you at an extra cost of £45 annually. When a user visits an SSL protected site, your certificate will create an encrypted and secure connection with the browser. 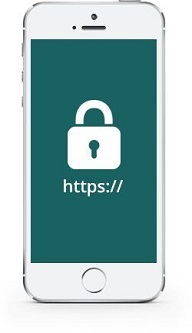 Once connection has been made you will see the websites URL show as HTTPS:// and the green padlock item will show clearly next to it, this will then show the user their personal data will be safe. Any information that is passed to and from your site is now encrypted and completely safe from hackers. What does the warranty mean? Warranty is put in place to protect your customers data, if this was ever to get compromised then you have the warranty cover to ensure you are not left empty handed. What is a site seal? 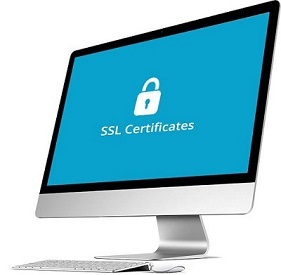 Included with all our SSL certificates is the ability to upload a site seal to your website. A site seal is basically a stamp of authenticity and provides proof that your webpages have the highest level of security encryption. Why do I have to verify ownership of my domain before you install my certificate? At Prestige we feel that validation is essential and that’s why we check before issuing a certificate, so we can validate you are the legal owner of the domain name and that you are a legitimate entity. We will do this by asking you to add documentation that confirms these factors. Will adding an secure sockets layer certificate slow my website down? No not at all, it is known that SSL’s can help increase your website load speed. When a person visits your site the browser, they are using asks for validity of your SSL cert which is an automated process which makes sure your site loads quicker. How do I renew my SSL certificate? This is completed by us automatically each year, so you do not have to worry about it, you will get email confirmation that the SSL has been renewed for another year, along with our invoice for payment. How much notice do I need to give if I would like to cancel my SSL certificate? You need to give us at least one months’ notice prior to your annual renew date otherwise it will be automatically renewed for another year and you will be liable for the cost. If you want to ensure your site is safe and secure for your customers, then purchase one of our SSL certificates today for complete peace of mind.